A very short post here to confirm what my tweets have previously stated – I was unable to get any work done during Retrochallenge 2017/10 so I had to soft exit, which is a very sad story. 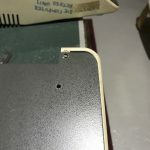 Well, I did line my europluses up on the table, and take one case apart, and get skewered by a keyboard ribbon cable plug, but that was it and probably took less than 30 minutes from go to (bloody) woe. I suffer from chronic nausea, and it flared up rather badly after I got the flu recently, so it was very hard to have any energy beyond work and home commitments to do any more. I’m certainly planning on entering Retrochallenge 2018/04 more successfully, but I can’t promise I won’t work on my europluses before then – in fact, I’m expecting to do at least a little bit during WOzFest 8-bit as penance. Retrochallenge time is almost upon us again, and, after two prior entries helping me move my europlus refurbishment project along, there’s no way I wasn’t going to enter again! 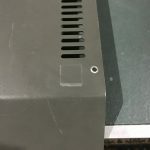 And so, for the third Retrochallenge in a row, I am entering my “continuing stooooooory” of a europlus Refurbapalooza into the mix for Retrochallenge 2017/10. I’m now at the stage of chronologically aligning the base (with serial number) to power supply to motherboard – my intention is to troubleshoot the motherboards once attached to the bases and connected to the power supplies, but before affixing the top case – it will make swapping chips out that much easier, especially at the front and back of the motherboards. I’ll also aim to replace any missing/damaged/moved rubber feet on the bases, and hopefully clean the top plastic cases. My minimal aim is to have at least one extra fully operational unit by the end of October – given the glitches I saw when I quickly ran through all the machines, I think it’ll be a stretch to get them all working, but I will try. If you’re vacillating about entering, or have never considered entering, I can highly recommend it as a way to help you move your retrocomputing project/s forward. I was right in my suspicion that I would not get as much done with my europlus refurbishment this time ’round, but I am actually happy with what I got done during April (and just outside the competition deadline) given my “real life” constraints. 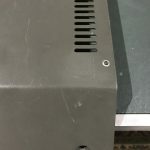 During April, I tested the electrolytic capacitors on all seven of my europlus AA11040C power supplies, developed my capacitors “Spec & Check” sheet for that model PSU (which was definitely not on my original April agenda), and during WOzFest PR#6, I replaced the filter capacitor on one of my PSUs and tested it in a europlus. On 1 May local time (after “tools down”), I found some time towards the end of the day to replace the necessary filter and electrolytic capacitors on the remaining six PSUs, and all but the last one are now working. That last one is a bit of an oddball compared to the others – it had a large filter cap (which had blown) and resistor soldered directly across the Live and Neutral pins of the power cord socket on the PSU case. It’s also the highest serial number AA11040C I have. 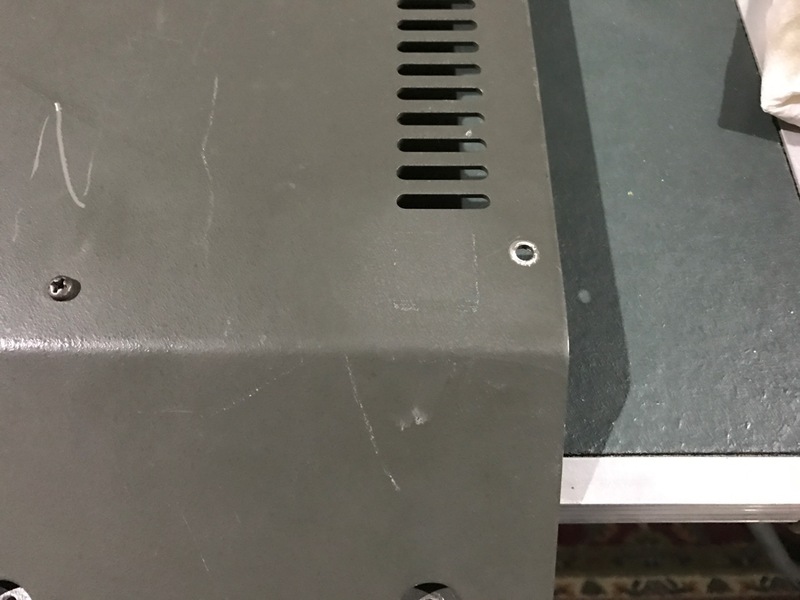 Subsequent discussions on the local Apple ][ enthusiasts mailing list were held regarding this apparent modification – in fact, it looks like the PSU shipped from the factory with this modification. This is consistent with several such examples owned by local enthusiasts, and the cord socket being riveted to the case as with the other PSUs (although rotated 180° compared to my other AA11040Cs). In the longer, later Apple //e PSUs (the AA11040C was used in the plus, europlus and //e), this larger filter cap and resistor were incorporated into the main circuit board of the PSU, further strengthening the evidence the capacitor and resistor on the socket were a modification made by Apple in-factory. The PSU should work without them (it’s not working, so will need further investigation), but I will replace the blown filter cap and the resistor (which I removed when I removed the filter cap) once I’ve got the PSU working. 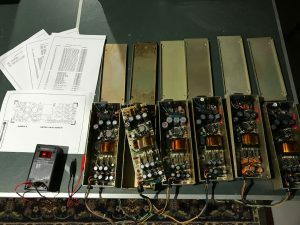 Anyway, it was an instructive April for me, and I’m pleased with having six refurbished PSUs and having created the “Spec & Check” sheet – roll on the next Retrochallenge! First PSU fixed at WOzFest PR#6. 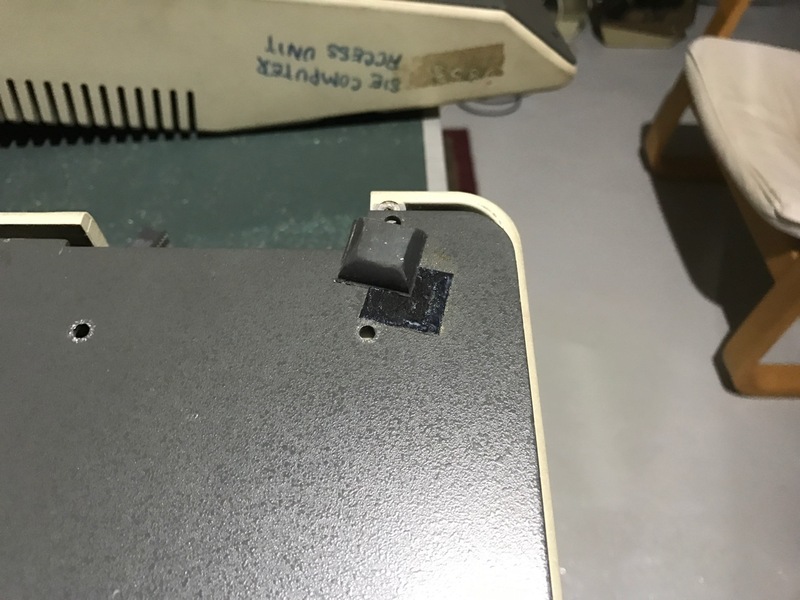 Retrochallenge meets WOzFest – Check Your Caps! Retrochallenge 2017/04 is almost over! WOzFest PR#6 has now started! My “europlus Refurbapalooza”, whereby I’m trying to get all my europluses operational, has been the thrust of my two Retrochallenge entries in 2016/10 and 2017/04. With the vagaries of “real life” impinging more the second time around (just that time of year, I think), I’ve gotten even less done this month…but that doesn’t mean I’ve been entirely unproductive. I’ve been able to test the electrolytic capacitors in all seven of my europlus Astec AA11040C power supply units (PSUs). Despite 14 electrolytic capacitors per PSU (so 98 total) and the PSUs being at least 35 years old, I was pleased to find only four capacitors are exceeding (or almost exceeding) their maximum ESR (Electrical Series Resistance) value. I’m also going to follow the general guideline to replace the C1 filter capacitor, even if the original hasn’t blown (two of the seven originals have definitely blown, and a further three or four are showing cracking in their plastic covering). I’ve bought all the replacement capacitors I need, and hope to install them all and test the PSUs during WOzFest PR#6. While carrying out these ESR tests, I wanted a ready-reference to the capacitor specifications for determining the correct ESR value to be testing and for when I came to purchase replacement capacitors. As a non-expert, I also wanted a reference to the position and polarity of the solder points for each capacitor on the underside of the PSU circuit board – I was testing the capacitors “in-circuit” rather than removing them for testing (while not ideal, I’m trying to keep the task manageable). I had found online a scan of a 1982 document from Apple which provided a great start to what I wanted. 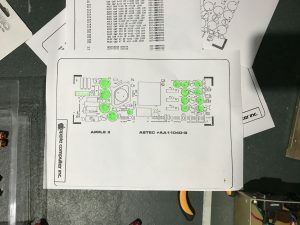 It has schematics and circuit board layouts for several Apple PSUs, as well as a components list for each of the PSU models it includes. Although it has info on the AA11040B (while I have AA11040Cs), upon inspection I believe the primary difference is the AA11040C is the 230V version of the AA11040B with the “115V Select” wire removed and a 250V/2A fuse replacing the 125V/2.75A fuse. So I decided to prepare just the sort of ready-reference I would have liked to have started with. 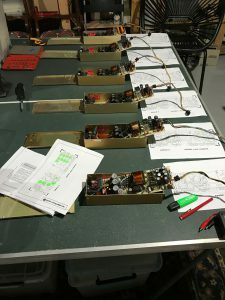 Over several iterations to refine the design and info included, and taking input from enthusiasts with more PSU repair experience than me, (thanks Mark, Martin, Jon, Geoff and John! ), I’ve created the “WOzFest Labs Apple Astec Power Supply Unit AA11040B/C Electrolytic Capacitor ‘Spec & Check’ Sheet” (it just rolls of the tongue!) – and I’m pleased to announce the release of v1.0 of this “Spec & Check” sheet for use by other enthusiasts looking to test and refurbish their AA11040B/C PSUs. This release is the major result of my Retrochallenge 2017/04 entry and in line with WOzFest PR#6’s theme of “Preservation”. I’ve designed the sheet so that it can be printed at 100% on A4 (297✕210mm) or US Letter (8.5″✕11″) without any information being cropped. When printed at 100%, the picture of the underside of the PSU circuit board is “life size”, so it’s easy to correlate the highlighted solder points to a physical circuit board. The sheet can be used as a checklist of capacitors that are in or out of spec, has the maximum ESR values listed for each capacitor (as well as other specs) in both tabular and “call out” forms, and the polarity of the solder points are annotated and colour-coded. This is only v1.0, and suggestions/corrections from other enthusiasts will be included in updates. If I’m able, I’ll also release versions for other PSU models that Apple used in Apple ][s.
This is the first resource issued under the name “WOzFest Labs”, and hopefully there’ll be many more (I’ll probably re-release my Silentype Font under that name, too). I’d be interested in collaborating on other resources, too, so hit me up if you have any ideas you”d like to work on with me. 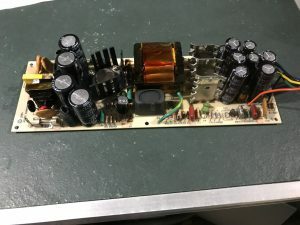 The 1982 document from Apple has at least two errors in the components list for the AA11040B PSU, so check its information carefully if you’re using it as a reference. If you’re wondering about the typewriter-like font I used, it’s Prestige Elite, which, by my reckoning, is the font used in early Apple spiral-bound manuals such as The Applesoft Tutorial. It’s my theory that these early manuals were “typeset” using material printed by the ubiquitous IBM Selectric typewriter. 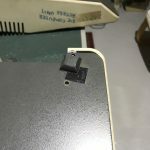 So, other than some soldering, testing and writing a recap on my re-capping adventures, that’s pretty well it for my Retrochallenge entry this time around. 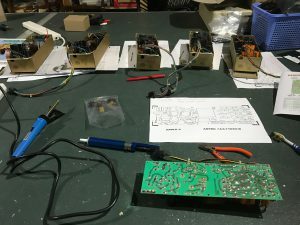 I’m looking forward to getting to the meat of my europlus refurbishment – testing (and hopefully repairing) motherboards – next go ’round in October! As I feared, the greatest challenge I’m facing this month is doing anything retro-related, including an on-time half time report! 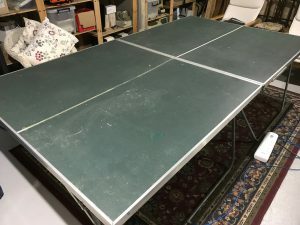 The Man Cave has been in dire need of some organisation, and I got to spend Good Friday at least processing the mess on the table tennis table: it can now serve as my workspace when I get to my first task, a PSU checkup. At least the PSUs have all been cracked open during Retrochallenge 2016/10, and I’ve borrowed an ESR meter off Jon from Manila Gear to assess the health of the PSU capacitors. Being able to check each capacitor type across all PSUs at the same time will be quite a time-saver, I think. With WOzFest PR#6 fast approaching, I’ll likely have to limit my Retrochallenge work to the PSU health check, but if at all possible, I’ll try and get to other items on my europlus refurbishment to-do list. Perhaps April isn’t such a good time of the year for me and October is my sweet spot – I guess we’ll find out in six months’ time! It’s time for real life to get in the way of my retrocomputing hobby in a structured way again, so I’ve officially entered Retrochallenge 2017/04! And what better way to celebrate “unfinished business” than to return to my Retrochallenge 2016/10 entry with a “europlus Refurbapalooza Revisit”? I got what I generously call a “heap” done last time, but I still have a different “heap” to do! I have rubber feet to apply. I have power supplies to test. I have cases to swap. I have motherboards to test. I basically have more on my list than I should reasonably expect of myself when trying to get more renovations work done (shhhhhh!) and WOzFest PR#6 to prepare for! But if I don’t enter, I won’t have entered…or “something something inspirational”, anyway – I do know I would be unlikely to do anything retrocomputer-related (other than WOzFest prep) if I didn’t enter, and no-one wins in that scenario (spouses and renovations excluded). So, harass me for updates if I’m silent, goad me for more if I’m under-performing, celebrate my wins with me, commiserate in times of adversity, but whatever you do, enter Retrochallenge 2017/04 with me! This is an object lesson in revisiting assumptions, or at least periodically checking on things you were told when your knowledge base meant you took that information on face value. I was gifted a motherboard at WOzFest ][, and was told at that time is was an Apple ][ motherboard, not a Apple ][ plus/europlus motherboard. I was intending on using it to replace a clone motherboard in a lidless case I had and trying to get a pre-plus system going. Some time was spent at WOzFest /// trying to get it running without success – but we didn’t have the time and resources on the night for this project. It ended up being a “some day” project and the board has been shuffled around the Man Cave while I’ve been doing other things, and without any close attention paid to it. …and noticed the (not so) minor fact that it’s another RFI europlus motherboard date stamped 1882! If I’d even just looked at the date stamp previously I would have realised this wasn’t a pre-plus motherboard. Given it’s case-less, that means I have more spare europlus parts than I thought, but we can never have too many of those as our systems age, can we? As previously mentioned, the mix of serial number vs motherboard vs PSU will change once I’ve gotten six boards working (for the six complete europlus cases I now have) – having eight europlus motherboards will make the task of getting six working that much easier. And I still have a clone motherboard or two for chips as well. So I’m hoping I now pay a little bit of extra attention to my collection as I sort it, in case there are any other gems in there. Let me know in the Comments below if you’ve ever “discovered” something hiding in plain sight in your collection you wish you had noticed earlier. OK, it’s “Tools Down” for Retrochallenge 2016/10! As previously mentioned, this was my first Retrochallenge entry. I’d noticed the frequent lament of Retrochallenge entrants about real life impacting on significant progress on entries, so I feel I entered with my eyes wide open on that front. Whether that meant I didn’t work as hard as I might otherwise have, or that I had realistic expectations of what I might achieve, I’m not quite sure. With ongoing renovations, I like to think the latter is the case. The bottom line is I did not complete the tasks I originally envisaged for refurbishing all of my europluses…but this month has been anything but a wasted effort, and I’ve certainly achieved a lot more than if I hadn’t entered. For example, I likely wouldn’t have spent a day driving to our national capital to pick up two extra europluses if I wasn’t documenting the ones that I had. The chance to secure an extra two machines to go towards my collection and refurbishing efforts (well, one complete machine and one for spare parts) was an opportunity I felt I couldn’t pass up. I almost certainly wouldn’t have paid so much attention so soon to the look of the motherboards and noticed my new favourite europlus, a motherboard from very early in the europlus’ production run. And, of course, I now have a good idea of the vintages of all my europlus motherboards, which will help me align them with their base plate serial numbers and PSU serial numbers. Speaking of PSUs, I have now brought together all six gold Astec PSUs I have after removing them from the cases they were in (or grabbing them from my shelves if they were already removed) and I’ve opened them all up in preparation for testing their capacitors. I’ve also discovered that 110V PSU cases were repurposed/relabelled for use in europluses – I’m hoping one day to get more info on this. While testing the PSU capacitors was a part of my original entry scope, I decided to wait until I had all six in the same open state before even considering testing them as I can then test all PSUs’ capacitors at the same time. If it weren’t for my entry, I wouldn’t have refurbished my Disk ][ drives when I did. This was in preparation for hooking them up to my newly operational europluses at the end of Retrochallenge – I’m obviously not at that stage yet, but it’s nice to know the drives are all operational. 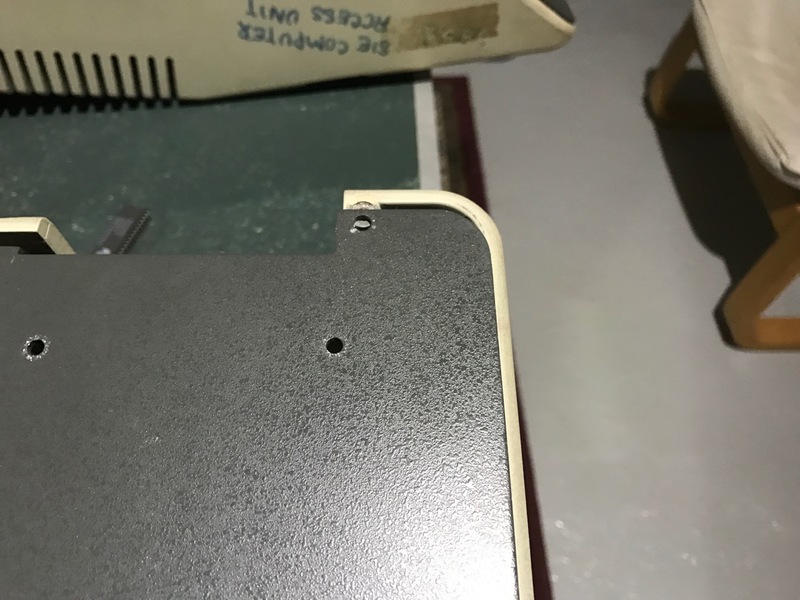 I don’t think I would have bought 6502s nor rubber feet yet – I now have enough of both for all my europluses for when I need them. And I also know the best solvent for removing the gunk left behind by the original adhesive for the rubber feet. While I don’t have a comprehensive list of which machines are non-functional (nor what their problems are), I now know I have at least one working motherboard (8237). This gives me a good test base for other tasks, such as checking PSUs after testing/recapping, and possibly as a source of known good ICs and ROMs. I’ve also downloaded a copy of a diagnostics disk I can use when I continue my refurbishing work. Overall, I’m pleased with what I have been able to achieve this month. Yes, I would have liked to be further along, but I am realistic about how much time I can dedicate to what is a hobby while work and renovation commitments are present. I’m hoping to do a bit more work on my entry scope before WOzFest 5¼″, but I also have a heap of work to turn my attention to for that as I have some very special things lined up for it and it’s less than three weeks away! Good luck to all Retrochallenge 2016/10 entrants as we enter judging! Well, at least I was able to follow through with my final list of to-dos! I gathered together like screws into ziplock bags! An easy win for progress! I cracked open the remaining three PSUs! 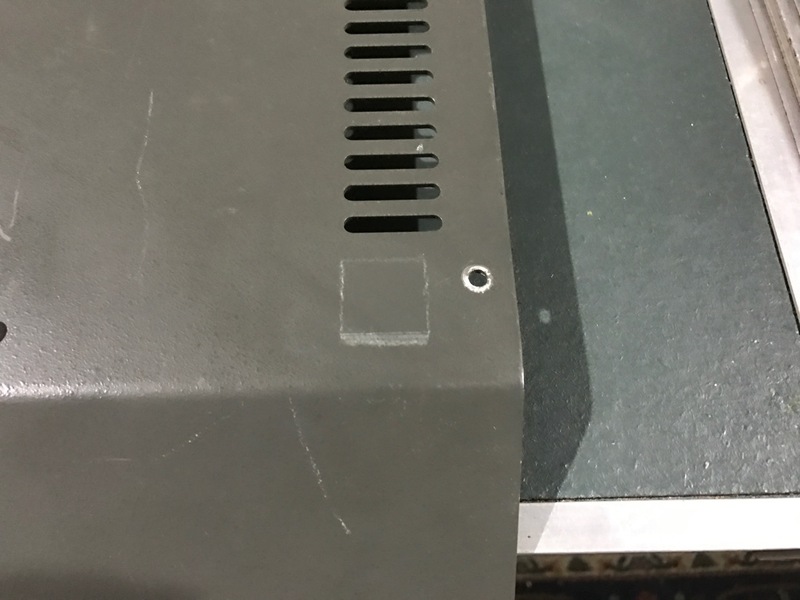 “Pro” Tip*: after drilling the head off the rivet, be sure to push the remaining rivet body into the case so the PSU baseplate can be removed (I found a Torx 8 screwdriver head worked well for this) – once the base is removed you can easily pop the rivet bodies all the way through the rest of the case sides (T8 to the rescue again) to remove them. *If you hadn’t noticed, I’m not really a “Pro”. There’s a very clear winner in the “Solvent Most Likely to Clean Off Apple ][ europlus Rubber Foot Adhesive Gunk After 35+ Years Stakes”, and that winner is methylated spirits (locally known as “metho” [“Australia: the land of nicknames for everything” should be our national slogan]). Isopropyl alcohol didn’t do anything, and I worried that the gunk would get the best of me and my alcohol-fuelled (well, “alcohol-based”, anyway) attempts to rid myself of it – see the pictures below for some before and afters. This is especially happy news as I have a 20L drum of methylated spirits in the Man Cave, so I shouldn’t run out when it comes to cleaning all the gunk off all the bases! My second retro-themed Bulgarian purchase, which arrived last Friday, was a2heaven’s Apple II VGA Scaler – an Apple ][ interface card which provides VGA output for the Apple ][, the Apple ][+, the Apple ][ europlus (yay! ), and the Apple //e. It supports both PAL (yay again!) and NTSC systems. I’ll write up a separate post on this card as I work through setting it up – I’ve got it basically working on my known good 8237 motherboard, but I have a glitch or two to sort out and I don’t want to get distracted so close to The Finish Line. I went back to my original test monitor setup with my known good 8237 motherboard – it all worked and booted into the Dealer Diagnostics disk. So something else was wrong when I tested the next few machines which I’ll leave to another day to try and nail down. I’ve returned the donor ROMs and ICs I used while testing motherboards (as reported in my Half Time Report and Little Ray of (Retrochallenge) Sunshine posts). When I do finally get to test my motherboards and swap in components to try and get non-functioning motherboards working, I’ll do a much better job of keeping track of which components I swap to and from where. I’ve not had time to think of anything else to add to my to-do list tonight, and it’s uncertain what I’ll get time to do in the morning beyond my final entry post – but at least I got to do tonight what I wanted to get done, so I’m happy about that. Boy! Do I wish I was able to dedicate many more such sessions of time to my first Retrochallenge 2016/10 entry. Well, I’ll leave my (not quite) post mortem to my final Retrochallenge post tomorrow morning. Well, we’re definitely heading towards the Retrochallenge Finish Line – only 18 hours to go! I’m hoping to get a few things done tonight and in the morning before the Midnight UTC deadline (we’re UTC+11:00 at the moment). This is partially justifiable as I got more renovations work done over the weekend than I expected, so I’m taking a little time off from those for this last-day push. Anything else I can think of that I have time for while I work on the above! I’m currently reasonably confident of doing all but the last item on that list before the official close of Retrochallenge 2016/10 – let me know in the Comments what’s on your home straight to-do list. @KevinSavetz Love me a good line halftone screen. @georgeharito @FozzTexx Can we see you Millennial License, please, umm, sir. @textfiles At yeast that’s a useful topic!